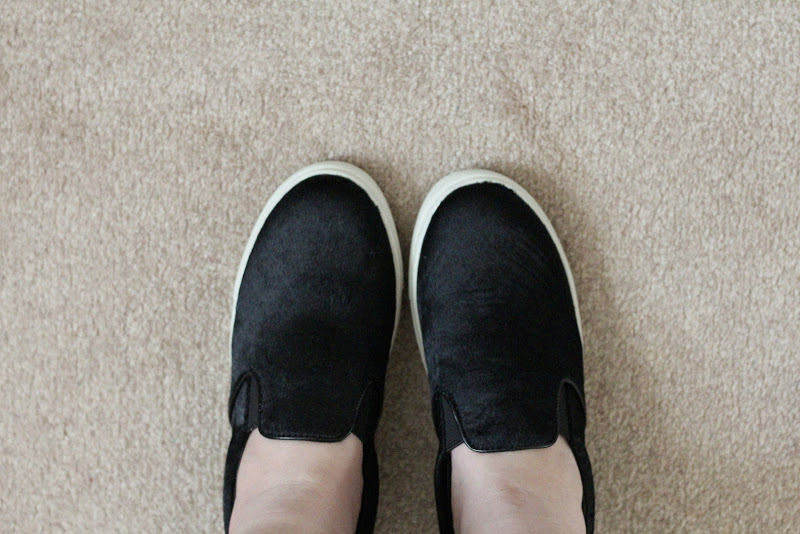 The time has come because these slip on sneakers are finally in my possession. I’ve lusted after these since I posted about them here, back in December. Now fast forward to five months later and they’re here on my feet. If you’re wondering why I took so long to purchase a pair, well it’s because I was waiting for a good deal to come along. You have no idea how many times I have gone back and forth between thoughts of purchasing or waiting. I’m the type of person who likes to save whenever she can. There was a couple times when I had these in my shopping cart then had to remove them from my cart because the coupon code restricted me from using it on this style. I dislike when that happens, but when all the Memorial Day sales hit the web I was able to snag this pair off Piperlime with a 20% discount code. Oh how I love a good deal! I’m already eyeing the leopard pair as well. No shame. Hope you’re having a lovely Sunday evening! "Walk on the Green Side"